In legal states like California and Colorado, love birds are ditching the alcohol for bud by setting up bud bars at their weed weddings. Wedding season is still among us. And in legal states like California and Colorado, love birds are ditching the alcohol for bud by setting up weed bars. But couples aren’t alone in providing the pot for their big day. Since serving up ganja at weed weddings has become such a huge thing, businesses are being built just to help make it all happen. What’s the best part about weddings? The reception, of course, where the newlyweds get to celebrate their big day with all their family and friends. There, you will typically find an open bar loaded with alcohol. But that’s becoming a thing of the past in states where weed is legal. The latest wedding trend in states like Oregon and Washington are pot bars. Instead of serving up wine, beer, and things of that nature at the open bar, couples are choosing bud. In fact, weed bars have become so huge that businesses are opening their doors to meet the demand. For love birds that reside in Denver and Cali, such companies can be found at the Cannabis Wedding Expo. Along with weed vendors, the bride and groom get to meet with professionals, all of which are ready to help make the big day extra special. And weed-friendly. One of the founders of the expo is Bec Koop, who also runs Irie Weddings & Events, a wedding organization service that assists couples in building their dream weed wedding. One of the services she offers includes a budtender, a person paid by the hour to help guests choose between strains and keep them from getting too stoned. We have people who are already outreaching to us for 2020, a lot of foresight coming from these so-called lazy stoners. 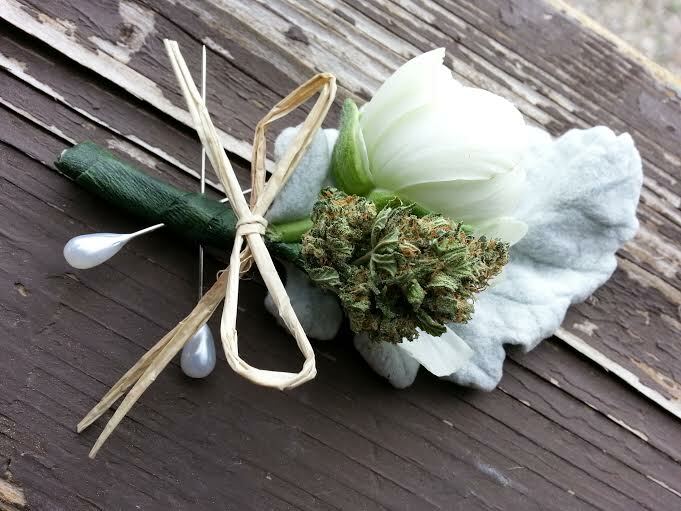 In 2014, former traditional wedding planner Niki McDonald launched Love & Marij, a website that helps couples find canna-friendly wedding vendors. According to them, cannabis is, in fact, the new champagne. In legal states, the sky’s the limit! You can light up in your limo, put buds in your bouquet, serve a signature strain, hotbox your hotel, serve a bud bar with your open bar, give ganja gift bags and beyond. There’s a lot more buzz for the buck in cannabis than in alcohol. Right now, a weed bar alone costs $300. That’s not too bad. But when you add on a budtender, that’s when the price gets steep as they typically charge $25 an hour. It doesn’t appear that too many folks are worried about the cost, though. 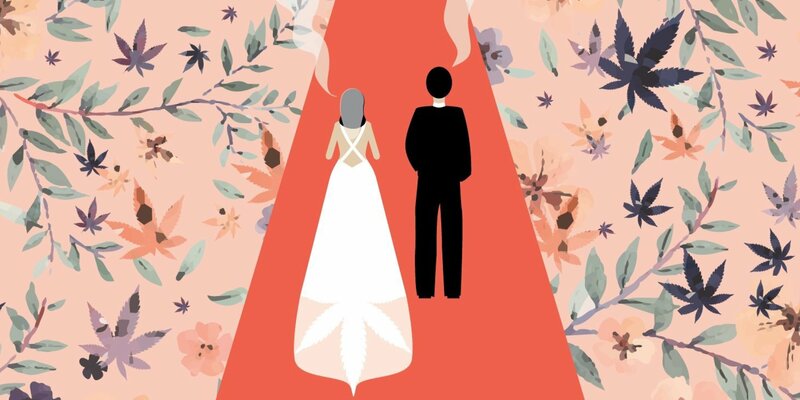 Weed weddings are huge right now and will likely continue to gain popularity as more and more states embrace legalization. What a time to be alive.